During a recent project, I needed to develop application services using varied technology stacks. One of my requirements was to pick a different programming language for each microservice in my application. While Java, Node and Python were easy choices, I wanted to try something new and obscure. During a conversation with my brother, who happens to be an active iOS developer, I learned for the first time about Swift and Kitura and decided to give it a try. Whenever I am experimenting with a new language, I try to use it with a database. In this example, I will show how easy it is to use Redis as a data store for Swift-based microservices. Swift is a general purpose, multi-paradigm, compiled programming language developed by Apple Inc. for iOS, macOS, watchOS, tvOS, Linux and z/OS. 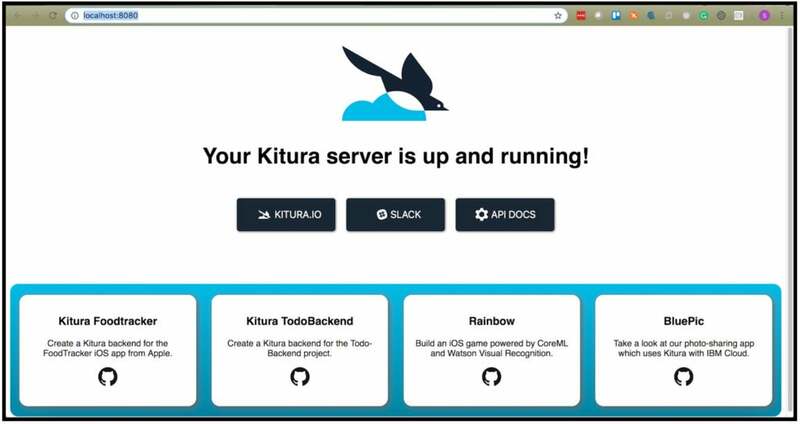 Kitura is a free open source web framework written in Swift, developed by IBM and licensed under Apache 2.0. It’s an HTTP server and web framework for writing Swift server applications. Redis is an open source (BSD licensed), in-memory data structure store, used as a database, cache and message broker. With almost 1.5 billion docker pulls, it is one of the most popular NoSQL databases. First, download and install the latest version of Xcode from the App Store. Installing the Kitura web server is pretty easy as well. 1. Create a new directory to host your project. 2. Initialize the new directory as a Swift project. 3. To add Kitura to your dependencies, edit `Package.swift`. Go under the sources folder and edit `main.swift` so it has the following text, which will initiate the Kitura web-server. 6. Now you are ready to run your Swift app. 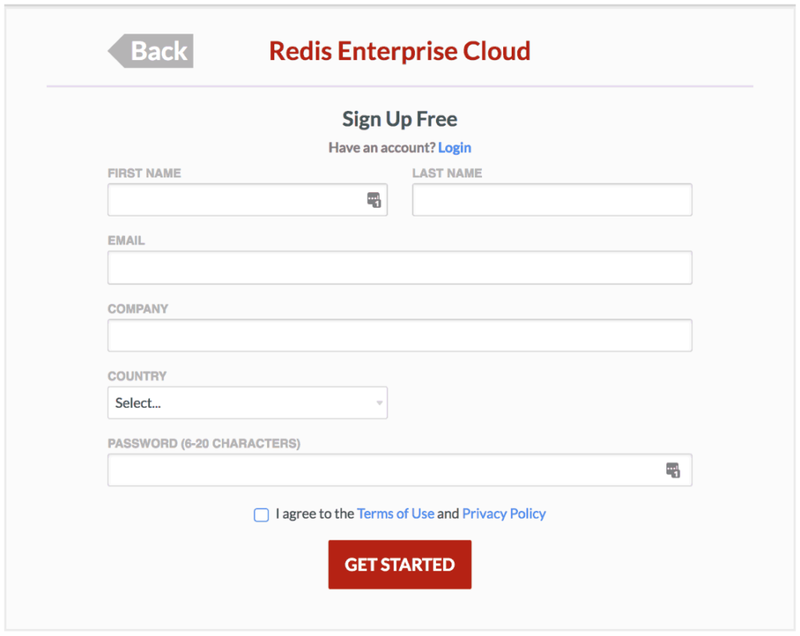 I use Redis Cloud, a fully managed Redis database-as-a-service in this example. 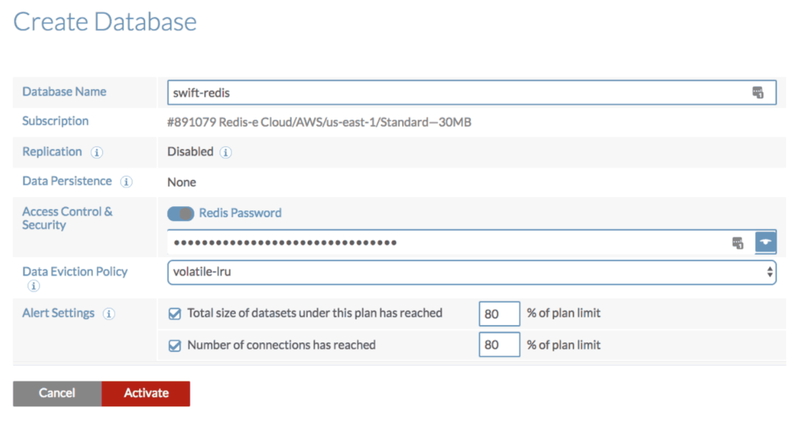 Creating a Redis instance with Redis Cloud is easy and free, and there are other options available as well (feel free to explore them in Get Started with Redis). 2. 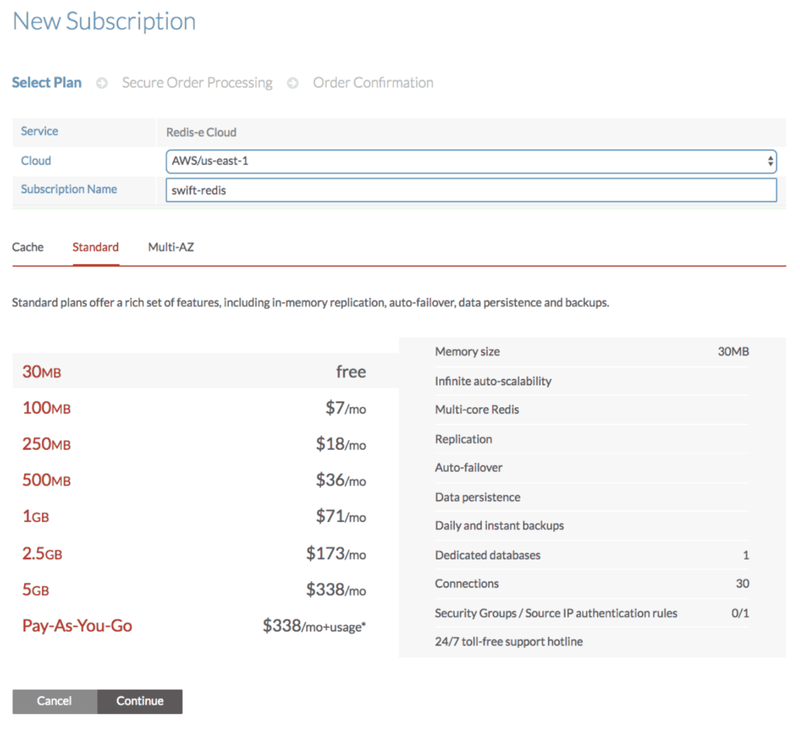 Login to create your subscription and select a free (30MB) Redis database. 3. Name your database and activate it. 4. Take note of your database endpoint and password. In this example, redis-15878.c91.us-east-1-3.ec2.cloud.redislabs.com is the URL of your Redis database and 15878 is the port. 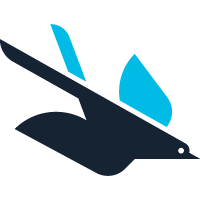 Kitura-Redis is a pure Swift client for interacting with a Redis database. 1. To add Kitura-Redis to your dependencies, you’ll need to edit `Package.swift` again. 2. 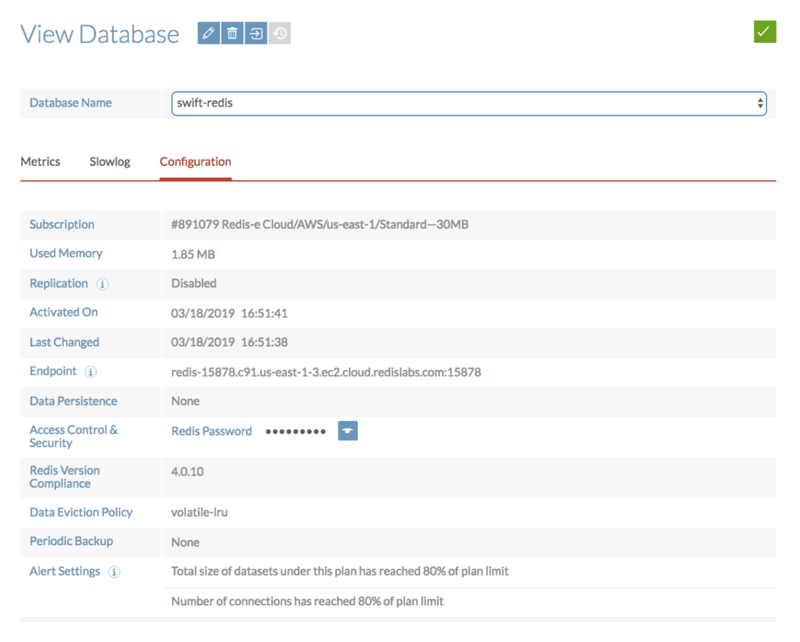 Now you’ll use Kitura-Redis to establish a connection with your Redis database* in the cloud and set a key called “Redis” with a value “On Swift”. This is a simple example, but you can, of course, use Redis in more complex ways. * Make sure to update , and with your Redis Cloud database configuration. 5. Using Redis CLI, you can check if the key value you set in ‘main.swift’ is successful.